Imagine living at the foot of the oldest mountain range in the world – estimated to be around 1.3 billion years old – the Porongurup National Park. 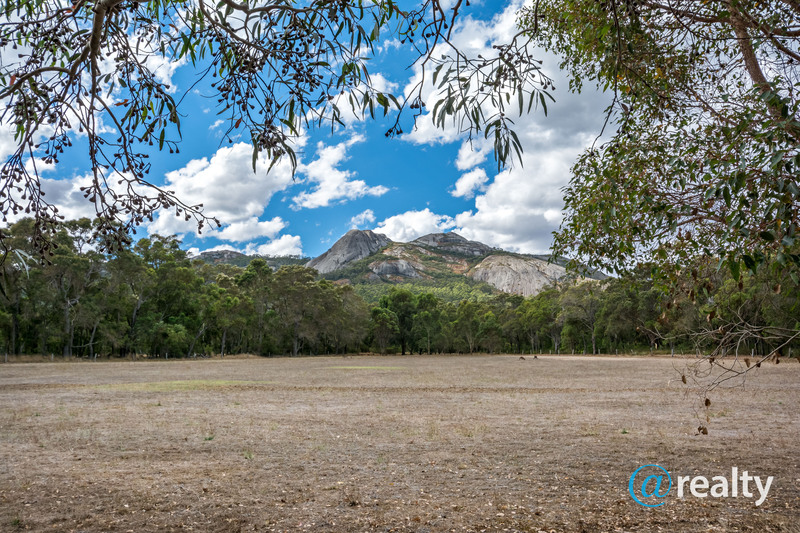 This park covers an area of 2,630 ha with the range extending for 12 kilometres. The area has one of the richest concentrations of native species in Australia, with over 700 native plant species, including 10 endemic species. This includes Australian Bluebells, blooming from October to February along with a huge variety of orchids and other spectacular flowers. You may even be lucky to spot one of the many mammal or bird species, honey possums, brushtail wallabies and even rare bird species of Baudin’s cockatoo and noisy scrub-birds. It’s a one of the world’s biodiversity hotspots, making it a top tourist destination in the Great Southern. Combine these facts by looking out over Devil’s Slide, the highest peak of around 670m. 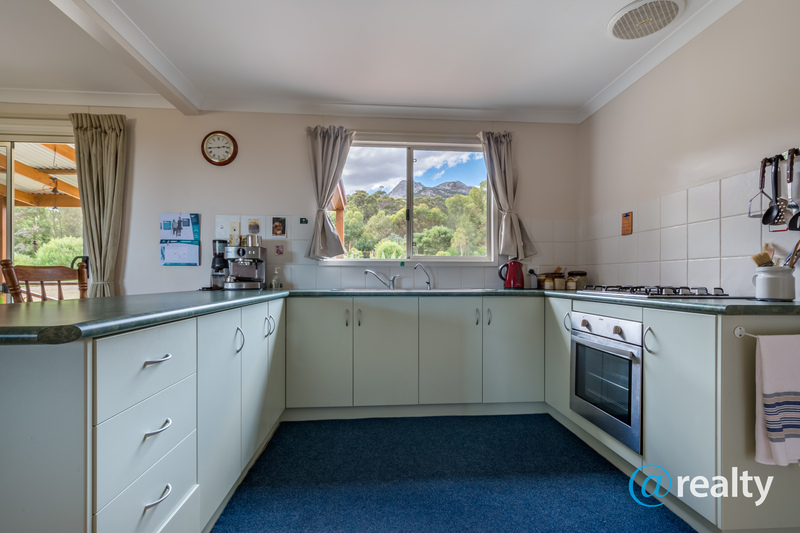 Enjoy the views from the kitchen window while washing the dishes or sitting at your dining room table – or relax with a cuppa or a glass of fantastic local wine on your back deck and marvel at the play of light on the ancient, moss-covered granite boulders and magnificent forest. Lush Karri forests and jarrah/marri woodlands are dominant in this area, while karri hazel, karri wattle and tassel bush form part of the understorey. 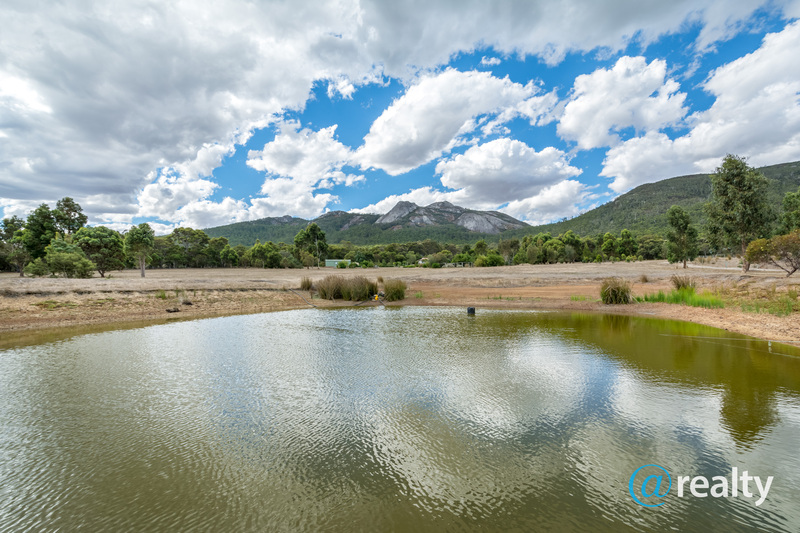 The Porongurup National Park is located roughly 48 km north of Albany and about 15 minutes’ drive (25 km) from Mount Barker. Wansbrough Walk is well known to tourists and locals as a couple of easy short walks start from the Tree-In-The-Rock Car Park at the end of the road. Here you will find disabled toilets, gas barbeques and sheltered picnic tables. You can stroll 100m to this gorgeous Karri tree that planted itself in a rock crevice years ago. 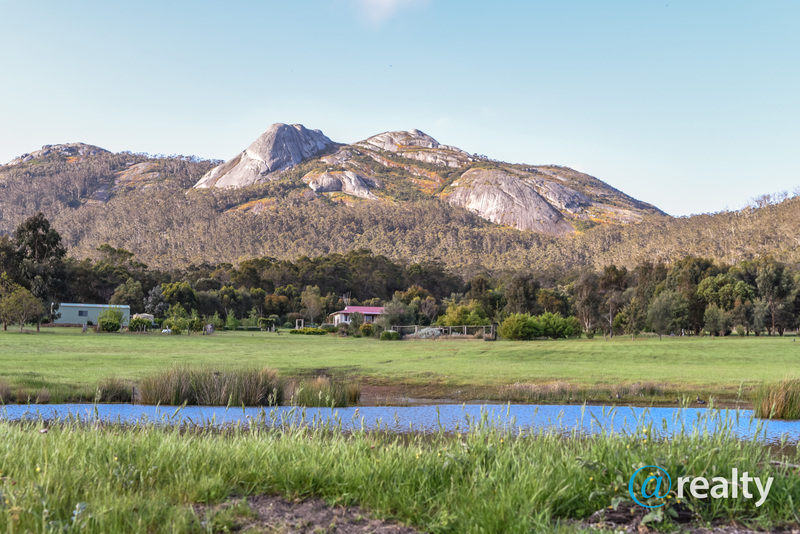 Enjoy the 4 km walk through the gully between Nancy’s Peak and Devil’s Slide which will literally make you feel like you’re walking between two mountains. Do make the effort of getting to Devil’s Slide; your reward would be magnificent, panoramic views as far as the eye can see. 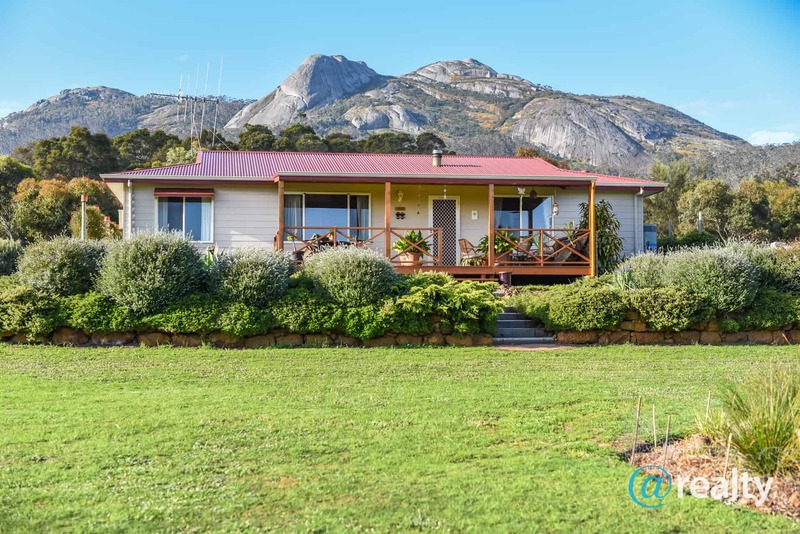 To the west, Denmark in the distance, in front of you views to the Southern Ocean and Albany – and to the north, The Stirling Ranges – a truly mind-blowing experience. There’s a myriad of trails available to visit different peaks, it just depends on how adventurous you feel. Something not to miss if you don’t mind clambering over boulders and climbing a 6 metre ladder, would be the Granite Skywalk – Castle Rock. This is an award-winning elevated walkway and master piece of engineering at the eastern end of the Porongurup Range, down the road from 80 Wansbrough Walk. The stainless steel walkway wraps around the vertical face of Castle Rock allowing the landscape to unfold before you. Absolutely magnificent! 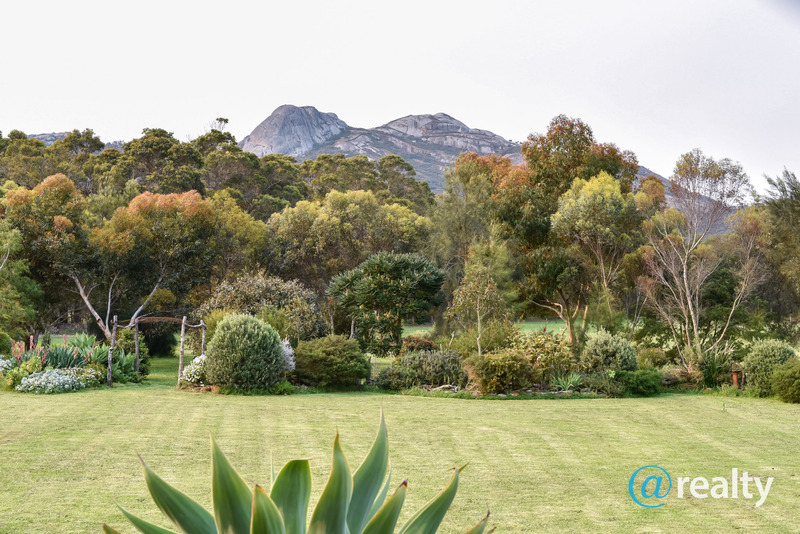 People living in this area naturally feel strongly about the conservation of nature around them, so even though this property is 24.77 ha in total (61.2 acres), an area of 17.63 ha (43 acres) was proclaimed as a Conservation Covenant. This is registered on the title deed and the duration of this covenant is in perpetuity – forever preserved. This section runs from Millinup Road and up Wansbrough Walk. (See the darkened area outlined in the picture of “Annexure A – Agreement to Reserve” under the floor plan section). 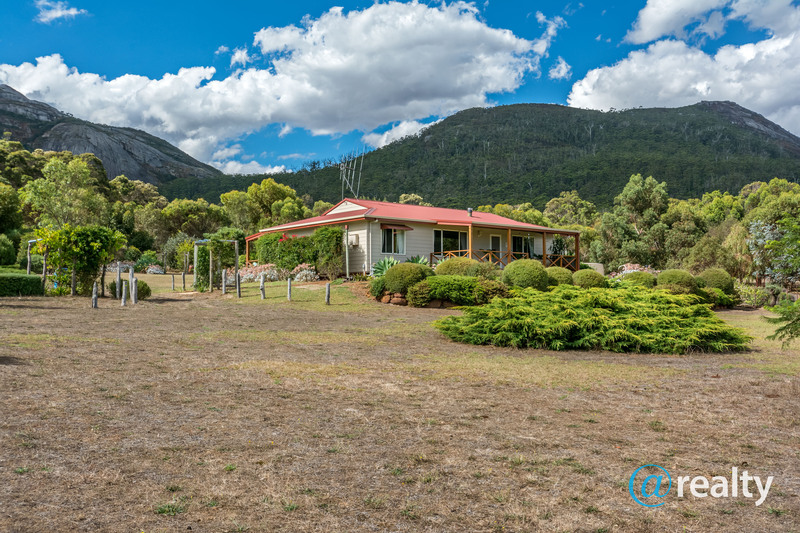 This leaves a very manageable 7.14 ha (17.7 acres) of cleared land and that is why it’s the perfect hide away home, sheltered between its own private forest and the National Park. 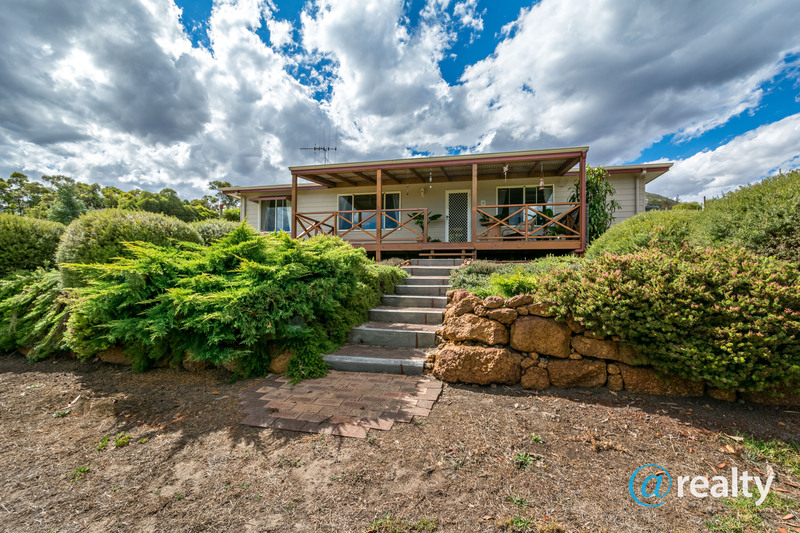 Now why would someone savvy not snap up this immaculate 3x2 home as quickly as possible – especially at this price? 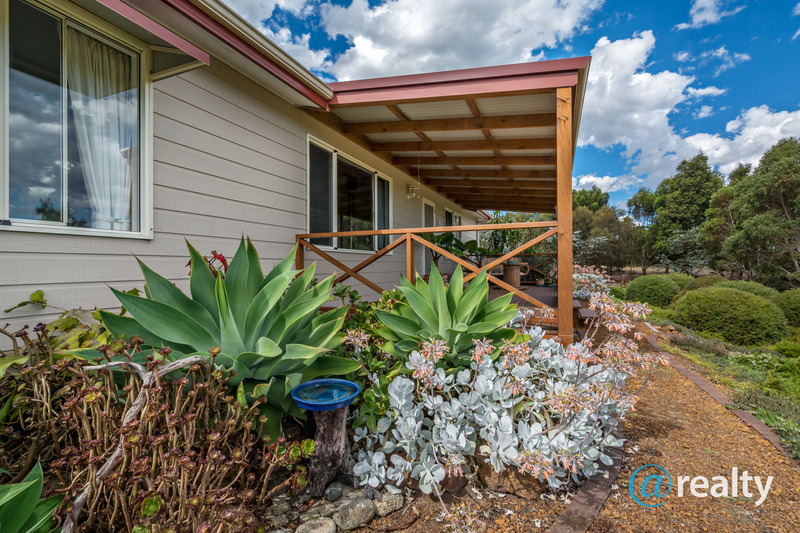 Use it as your weekend and holiday get-away or reside permanently like the current owners. 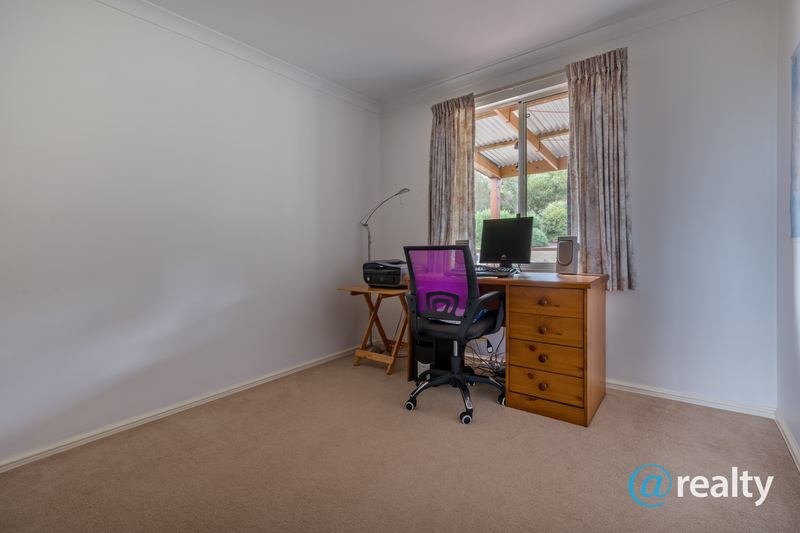 You could easily extend the home if it’s too small for your needs. The opportunities are only limited by your imagination. Let’s explore this immaculate home. The home was specifically designed by the current owners to maximise the magnificent views from every room and to bring the outdoors in. With great success I might add. 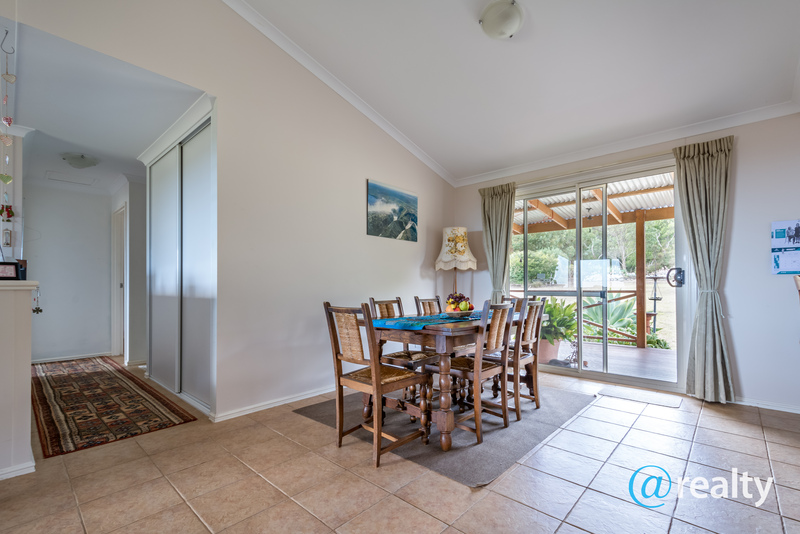 Going in from the lovely back deck (mountain side) you enter into a lovely open plan lounge/dining/kitchen area. 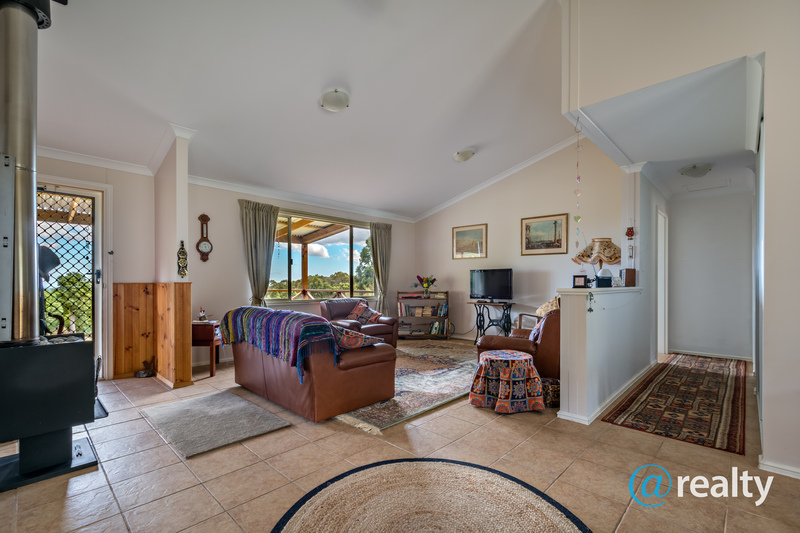 The living area has a raked ceiling and huge windows and glass sliding doors ensure that it is light, bright and very welcoming. A wood fire keeps the whole house cosy in winter months. 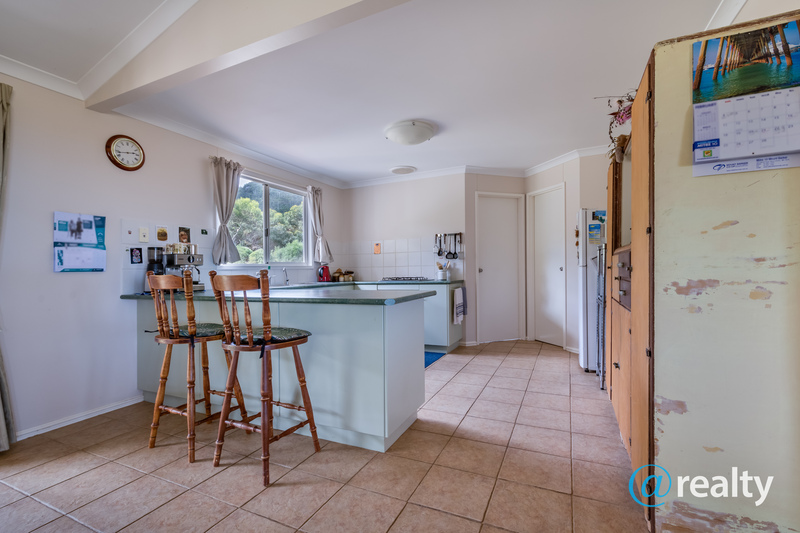 The kitchen off to the left has plenty of cupboard and bench space and a large walk in pantry. No there’s no dishwasher, but if you insist, there’s plenty of space to install one. 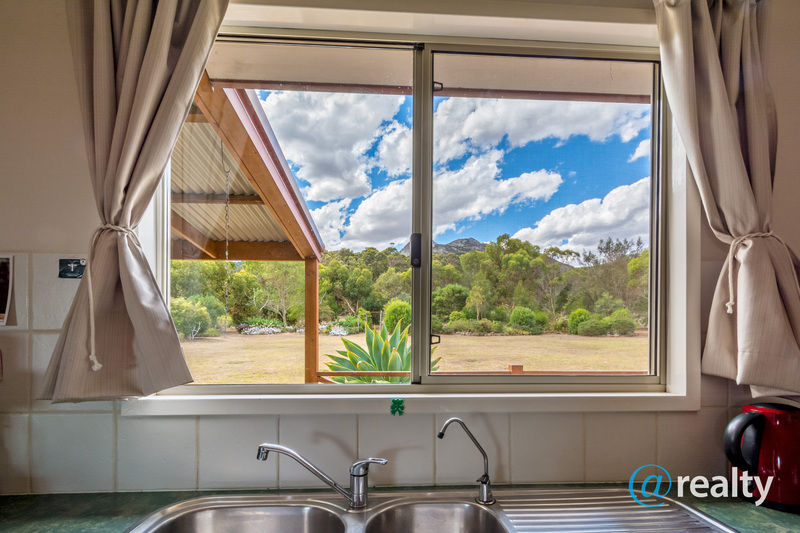 I’d be happy washing up while enjoying the views over the mountains. 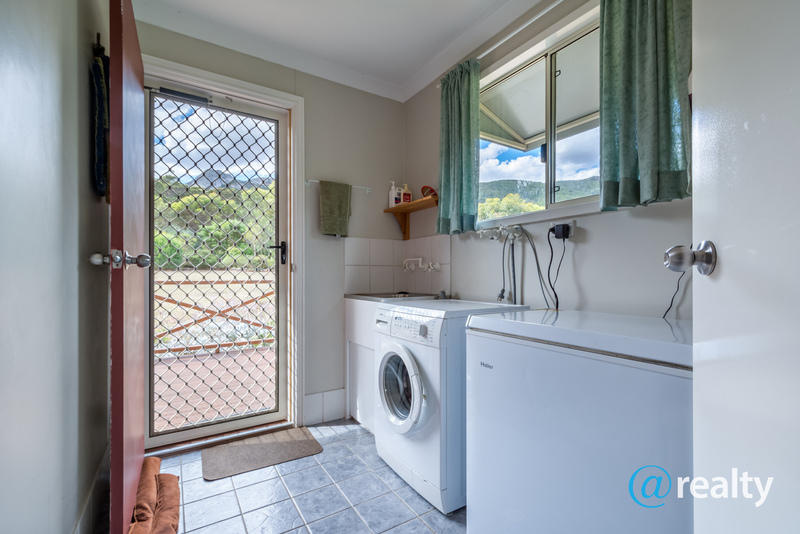 A great size laundry is just off the kitchen with a door opening out to the back deck. 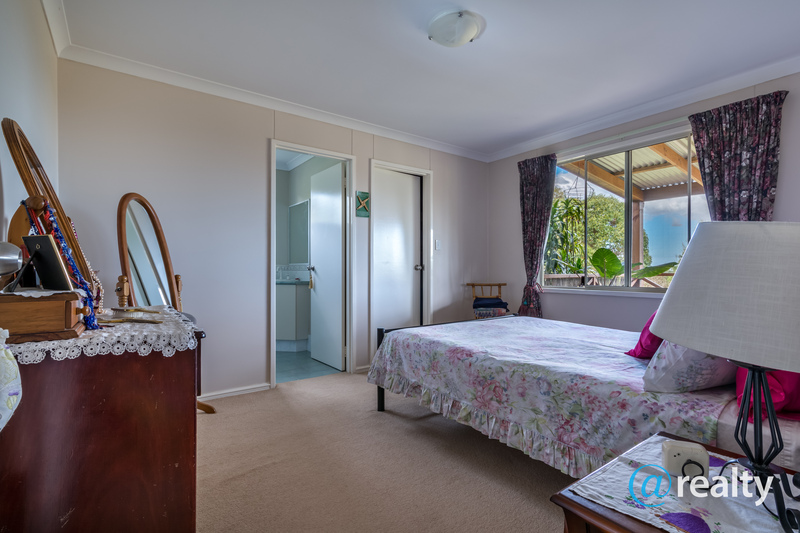 The master suite (approximately 3.2 x 4m) takes up half of the left wing where you will find a large bedroom, a deep walk in robe and a very neat bathroom with a shower, toilet and basin. 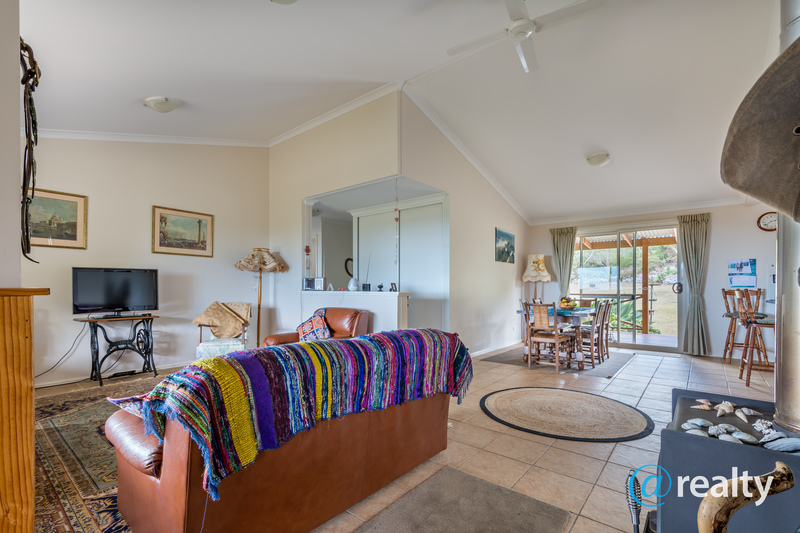 The large windows gaze out to the south over the reserve – and the abundance of small ferns and flowers growing around the front deck ensure you are woken up in the morning by the frequent visits from a rich array of local birdlife, including little blue wrens that are as tame as a house pet. 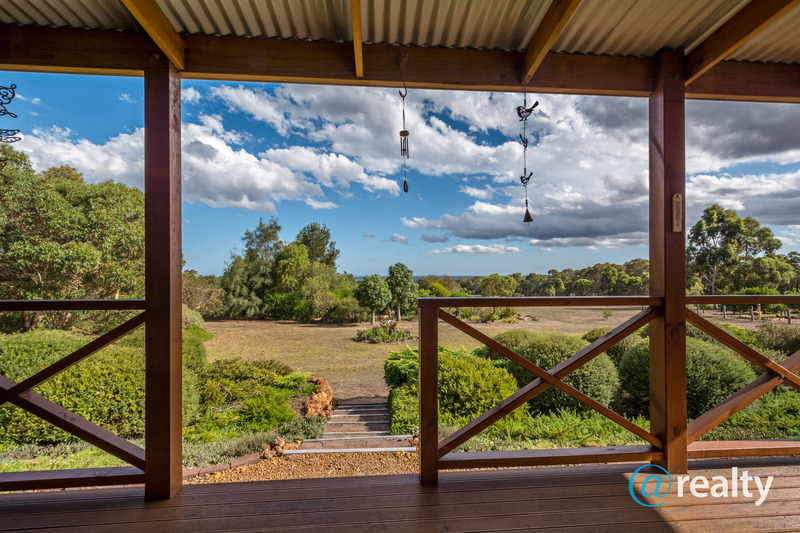 Your views are over the front deck, out towards Albany and the Southern Ocean in the distance. To the right of the dining area is a corridor leading to the guest section. Deep linen cupboards line the corridor and behind them you will find bathroom two. 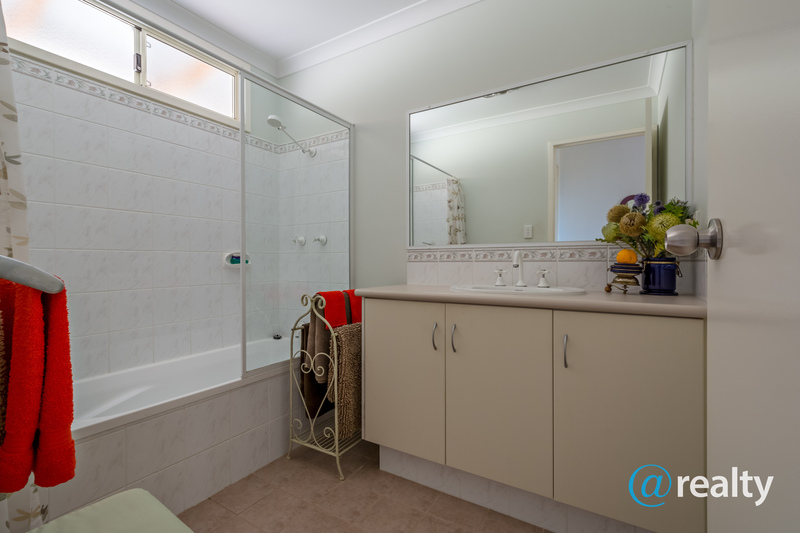 This consists of a bath with an overhead shower and a basin. There’s a separate water closet right next door. 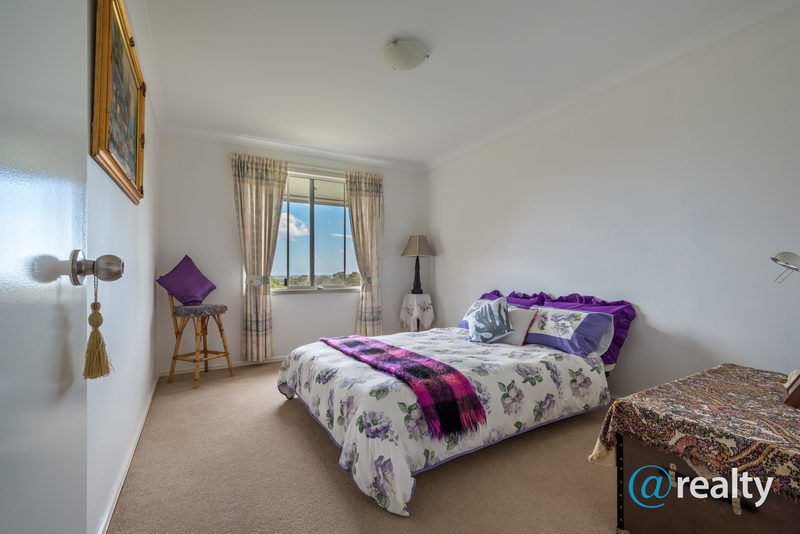 Bedroom two (used as a study by the owners) also faces the front deck (approximately 3x4m) and lovely views like the master suite while bedroom three (approximately 2.9 x 4m) enjoys views towards the mountain. I’m guessing that the home is roughly 110 m2 excluding the verandahs. 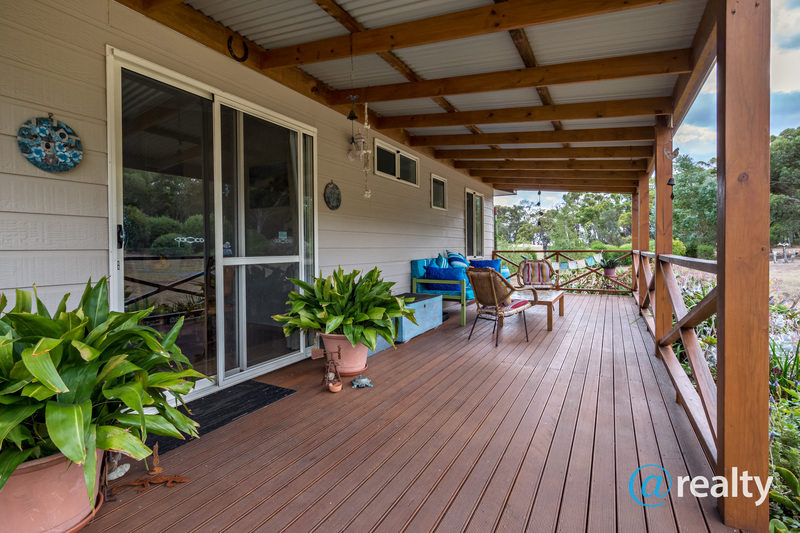 The back verandah is 14x3m and the front 8x3m, giving us a total area of approximately 176 m2. 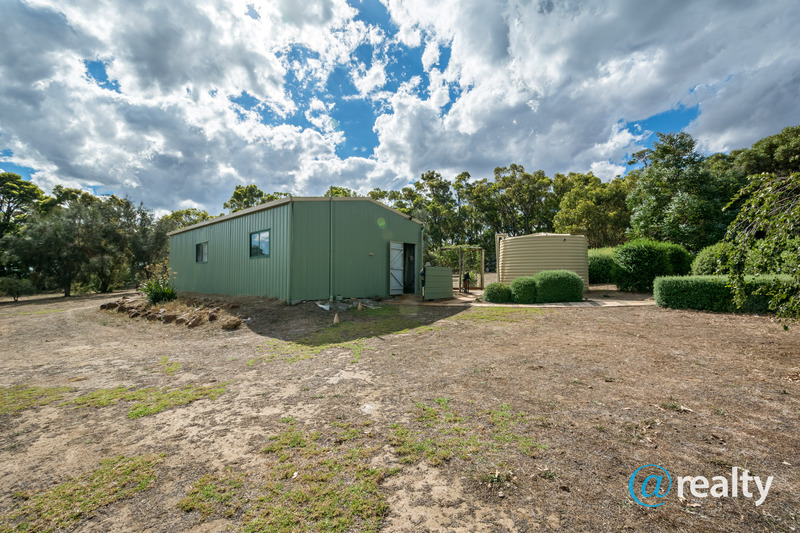 There is an immaculate, large shed near the home consisting of 3 bay parking plus a large workshop area. 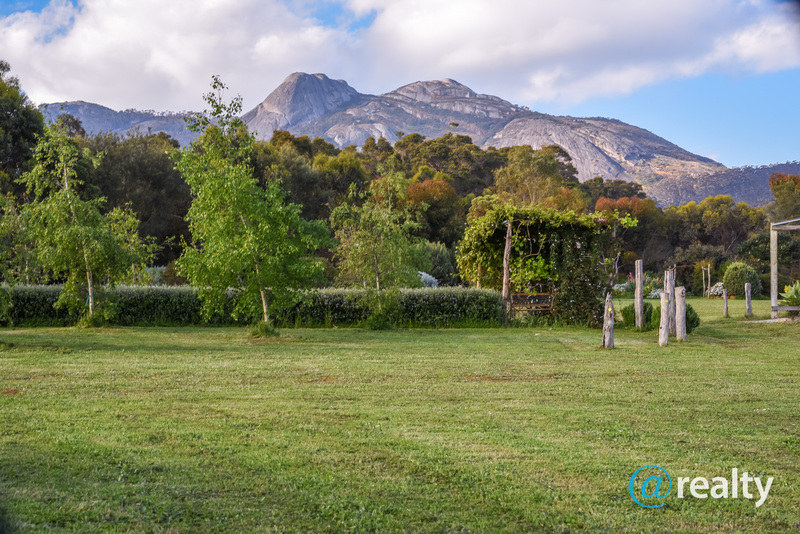 The property boasts two dams, 2 water tanks and is fully fenced and gated. You can enjoy a variety of fruit from the orchard and veges from the garden. Plant what you will, there’s an abundance of water in this area. 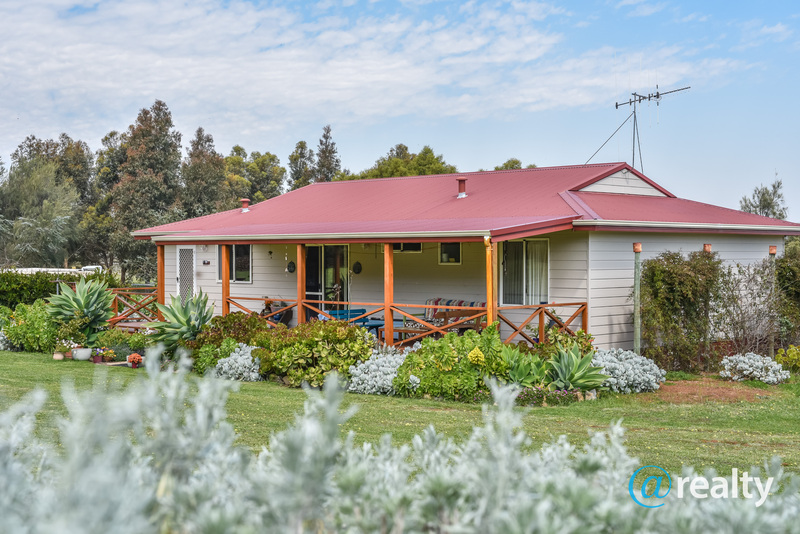 The property is ideal for those hoping to make a tree change from suburbia or the busy city life and are hankering after something extraordinary beautiful, peaceful and private. This home is hidden away from the maddening crowd – yet on the school bus route, so not remote. Ideal horse country too. Please watch the video (picture with arrow) as it gives you a clear idea what we’re offering. The video was done in March, our driest month, but it is green and lush around the home for most of the year. 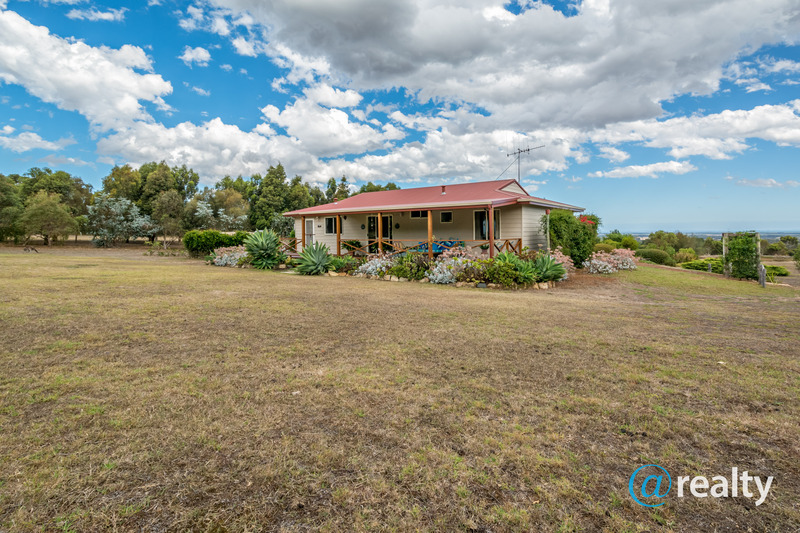 Don’t delay viewing this amazing, well priced rural property as it won’t be available very long. If you’ve been hanging out for a lovely, private place to live or holiday at one with nature, then this is your opportunity. 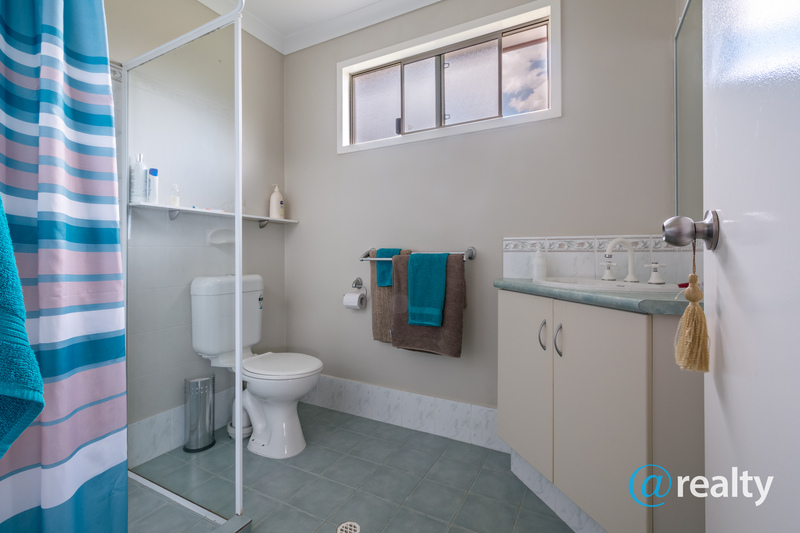 Exclusive to Jess Adams based in Albany, so please contact me on 0410 631 335 to arrange a private viewing. You’ll be so glad you did!